It has been over six months since your Office took the very welcome and just decision to postpone a proposal for San Leandro City Council to honor the founding of the Communist Chinese state by raising China’s flag. During that time, as you may imagine the Tibetan people have continued to greatly suffer under a violent and oppressive tyranny. We would like to advise you on one particular case, as it involves directly the very flag some of your colleagues wish to raise over City Hall, it presents a damning argument against the good City of San Leandro being associated with what is a symbol of persecution, suppression, and denial of freedoms. Tibetans Forced To Fly The Flag Of Their Oppressor! Ironically the events described took place within days of your decision to suspend plans to fly the Chinese flag, at that time Chinese paramilitary, under orders from China’s regime were sent to the eastern Tibetan region of Nagchu. 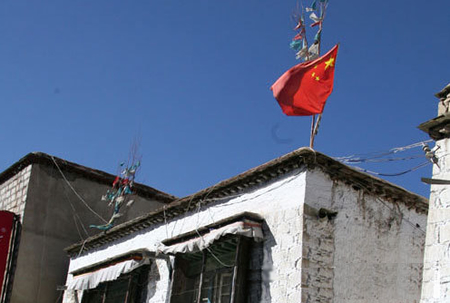 They were to enforce a dictate that required Tibetans there to fly above homes and monasteries the flag of China, how the Chinese authorities concluded that Tibetans would wish to celebrate the founding of the regime that has inflicted such misery and loss of life is an indication of an arrogance off any known scale. During the next few days thousands of Tibetans assembled in protest outside Driru county headquarters to oppose the vicious repression following their refusal to honor the Chinese flag. 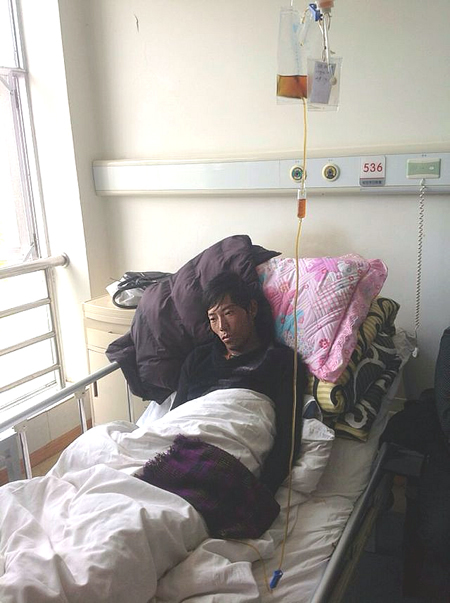 Then on October 6th a unit of some 300 Chinese paramilitary opened fire on unarmed Tibetans,killing four people and inflicting serious wounds on another 50, Tibetan villagers could protect themselves against machine-guns with only sticks and rocks! It was a murderous assault! 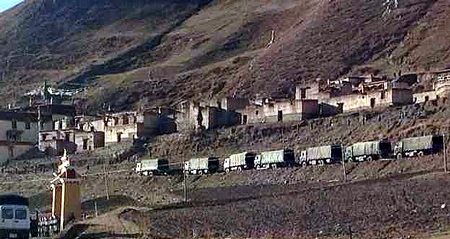 Report HERE The region was subsequently placed under intense military occupation, Tibetans forced to remain in their homes, arrests and torture followed, communications were cut-off, armed check-points blocked roads, armored vehicles and heavily armed Chinese forces patrolled streets. Such was the response to a refusal by Tibetans to fly China’s flag! Naturally any right-thinking person of integrity will be distressed to contemplate a prospect that San Leandro would wish to honor China’s Regime by displaying the Chinese flag, most particularly local Tibetan Americans. Who understandably are outraged at the proposal and are rightly asking why a City Council representing a community that so cherishes democratic freedoms and principles of justice would display a national emblem that represents tyranny, oppression, censorship and human rights violations of a harrowing magnitude. 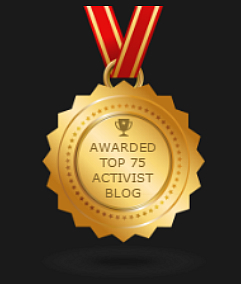 As you may imagine this issue is again generating considerable attention and attracting a genuine sense of unease from within your community and beyond. In light of the scale and nature of the reaction we are seeing and being committed to informing our state, national and global audience, we have published this as an open communication. Note also that this communication has been addressed to your fellow Council members. The central question we are being asked via emails and discussions on Twitter is why San Leandro City Council would seek to associate its community and name with a regime notorious for its oppression and inflicting a range of human rights violations upon the people of China and waging a genocidal assault upon the culture and people of Tibet and other occupied lands such as East Turkestan and Southern Mongolia. 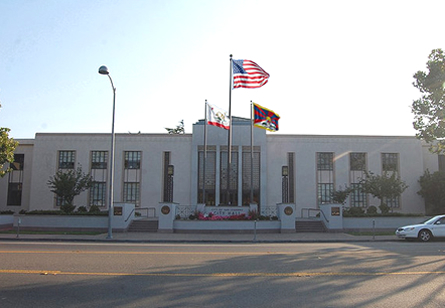 Wouldn’t Tibet’s Flag Be More Appropriate At San Leandro City Council? we would suppose that those who advocate flying China’s flag at City Hall argue it to be an apolitical action (rather like suggesting that wetness is nothing to do with water) but an event recognizing the city’s links with China and acknowledging the contributions of Chinese Americans in your community. Others may suggest that such an action would assist in promoting commercial relations with Chinese business. Is it not possible to realize such an objective, without however the odious political overtones which China’s national flag represents? Such a question we hope you may agree deserves to be at the heart of any informed discussion on this matter, and we hope the Council itself will take the opportunity to fully explore possible options. Surely that would be a reasonable alternative that reaches out to your Chinese community while at the same time shows solidarity with Tibetans who do not wish to see the flag of their oppressor honored by your City.